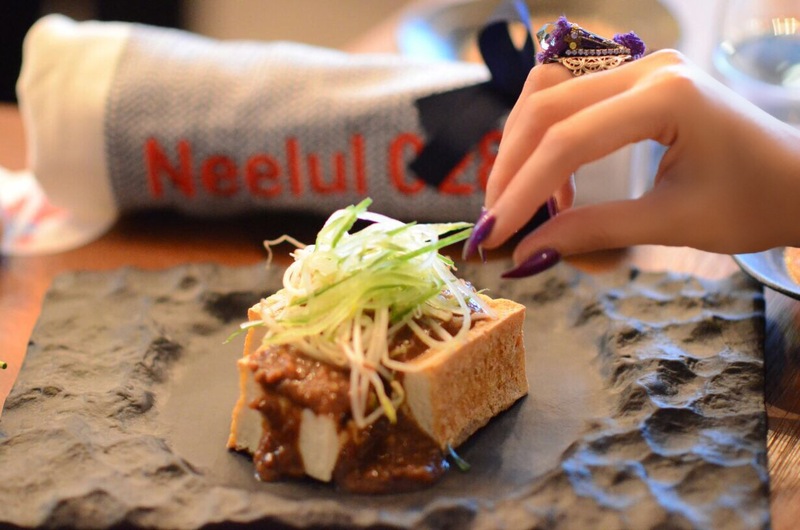 Last week in association with Singapore Tourism I have dined at The Experience By Reif Othman, a luxury chef’s table concept by Chef Reif Othman, whose genius and creativity is behind the award wining Play Restaurant and Lounge. Nested at the 37th floor of the H Hotel, a floor above Play Restaurant and Lounge has a dining room with twelve-seat counter backs directly facing onto a open kitchen area, making it a seriously up-close-and-personal experience with the chef Reif Othman who prepares a tailor-made menu for guests for a completely unique and customized dining experience. During our dinning, my eyes were automatically drawn to the imposing portal between kitchen and dining room that dominates the magnificent art decor space with an overview of Downtown Dubai. 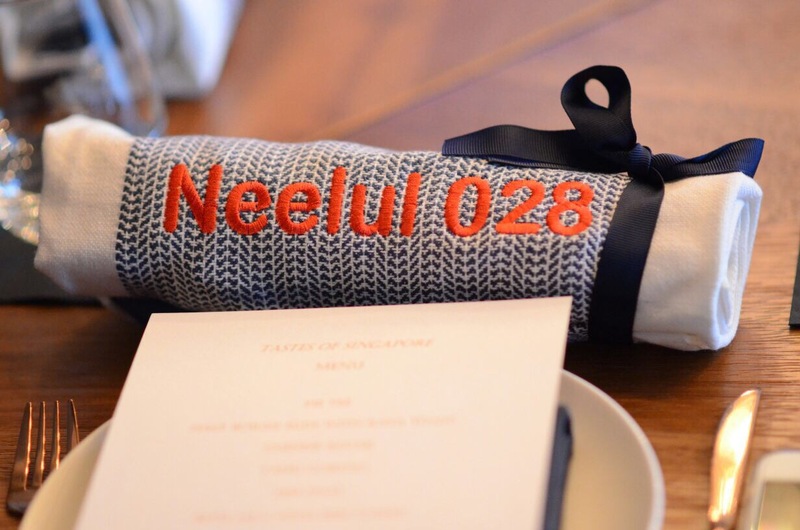 Singapore is a foodie paradise with a uncharacteristically representative of what the city’s diverse food scene has to offer. Prior to our dinning we were given a presentation by Singapore Tourism briefing how this city has emerge as a destination in its own right and it’s food scene has made it a great city for the hungry traveler. From food stalls to traditional eating spots and high-end fine dining restaurants, there’s a plethora of dining options in Singapore.. 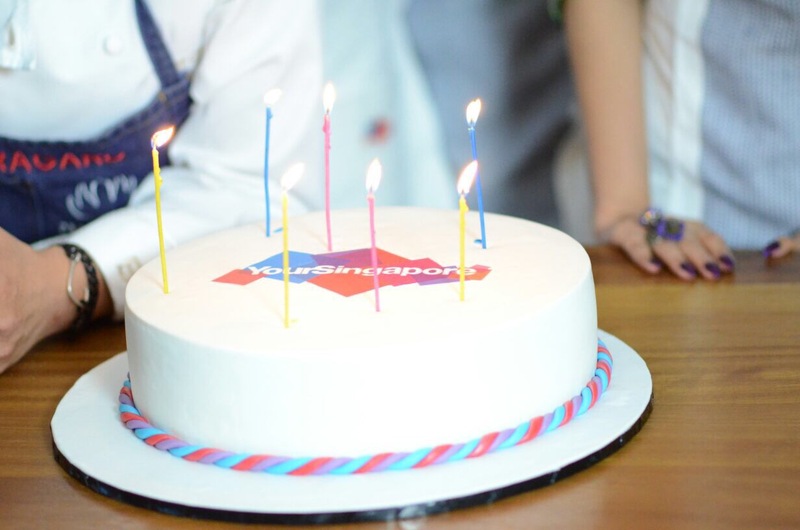 If you’re a foodie, this is your ultimate destination to experience their culinary happenings. 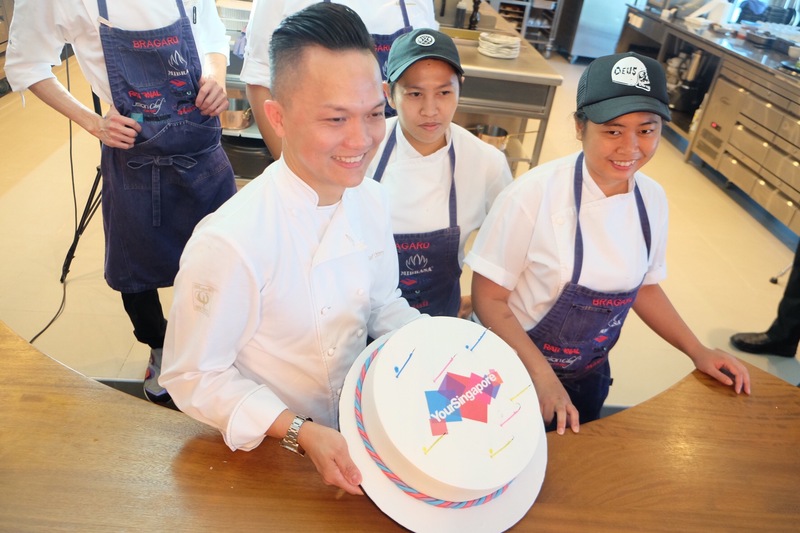 Moving on ,we were taken to an exotic gastronomic tour by Chef Reif Othman and team where we got to soak into the real taste of local food varieties of Singapore just like the native residents of Singapore in this thrilled culinary event. 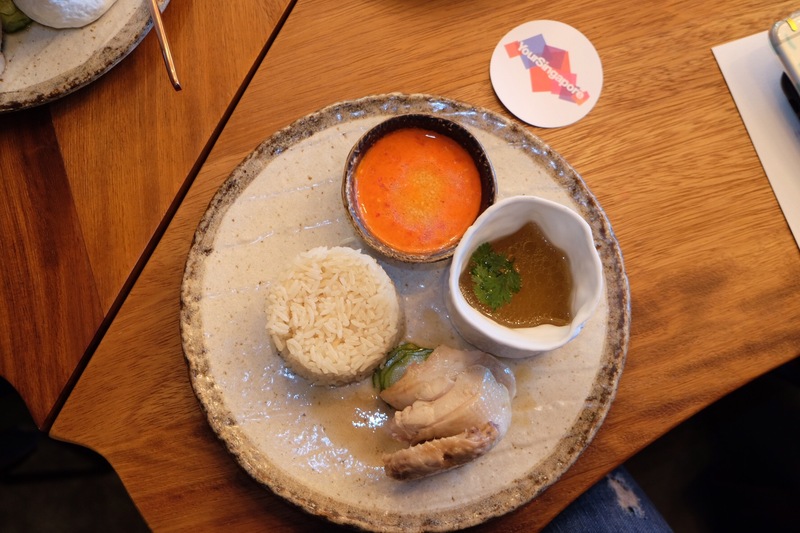 We were immersed in the diverse taste and authentic flavors of the Singaporean’s cuisine through the melting pot of food and cultures from the 10 course custom made menu. 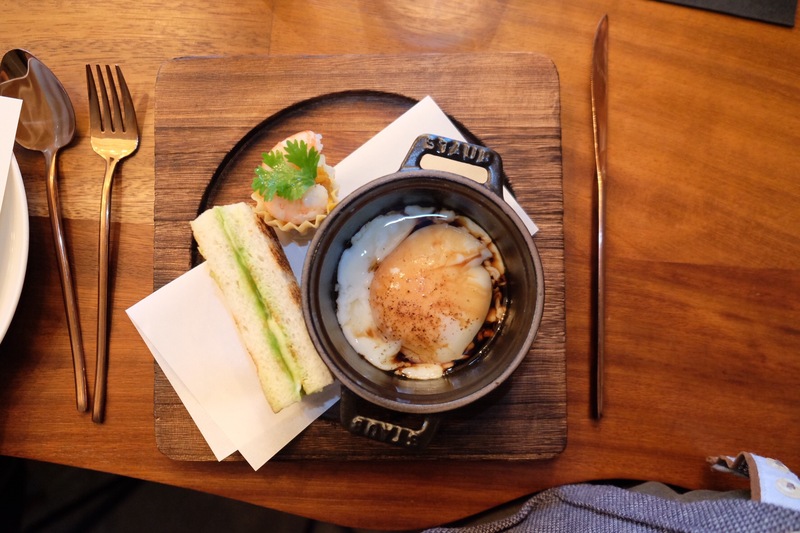 Without any further ado, the traditional kaya toast set was the best from the menu. The sweet flavor of Kaya (coconut jam) and salty pat of butter on white bread makes quite an irresistible combination when accompanied by a soft-boiled egg with runny yolks and translucent whites that are heavenly with a dash of dark soya and white pepper. It’s a simple noodle dish, but what makes mee siam so addictive is its piquantly sweet, spicy, and tangy gravy! 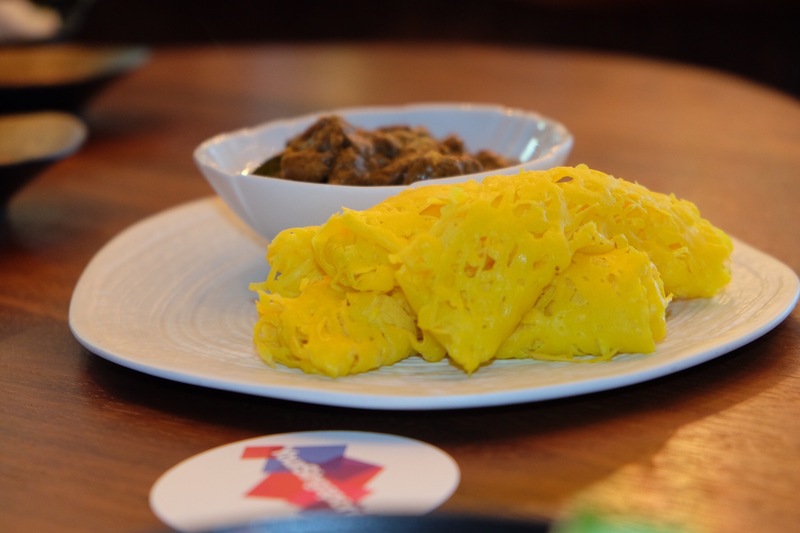 Its refreshing tartness comes from tamarind, while fermented bean paste and dried shrimp provide a savory depth. 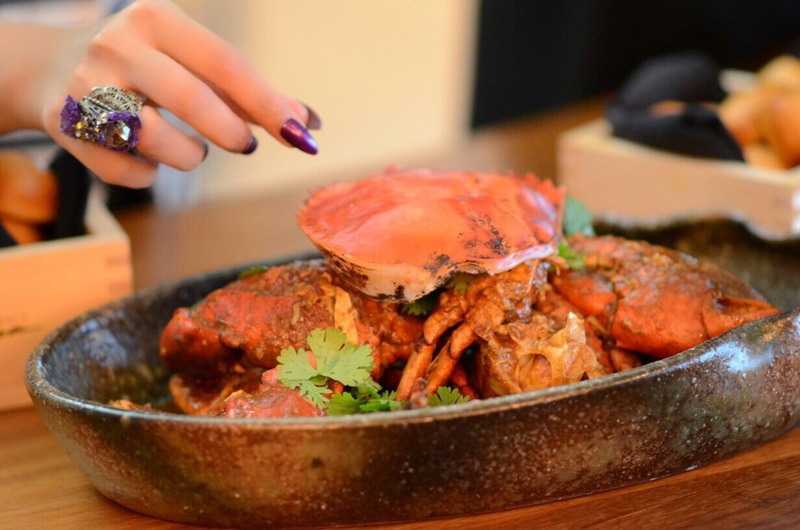 Singapore’s number one culinary export to the world is none other than chili crab, practically cementing its status as one of it’s unofficial national dishes. 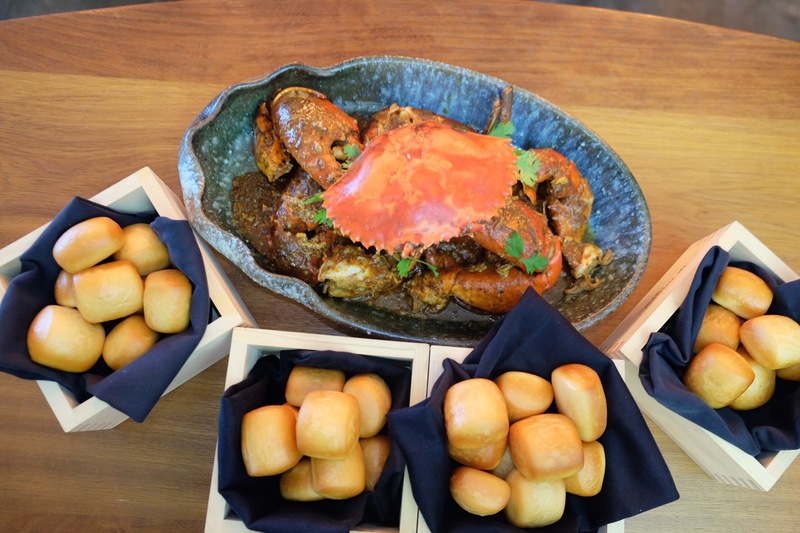 The Singaporean feast is incomplete without this iconic seafood dish. 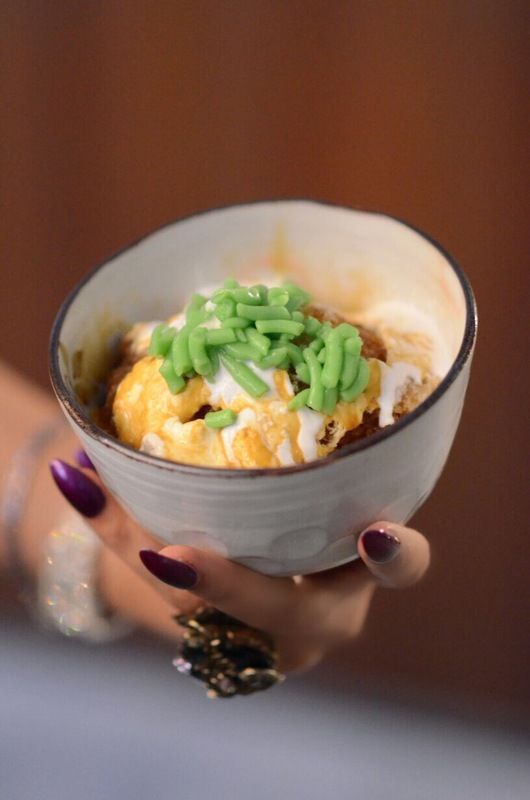 Chef Reif Othman’s version of Chili crab had the gravy with an impeccable combination of spiciness, sweetness and saltiness, complementing perfectly with mantau. The crab was absolutely the best of the dish with very juicy and fresh meat. 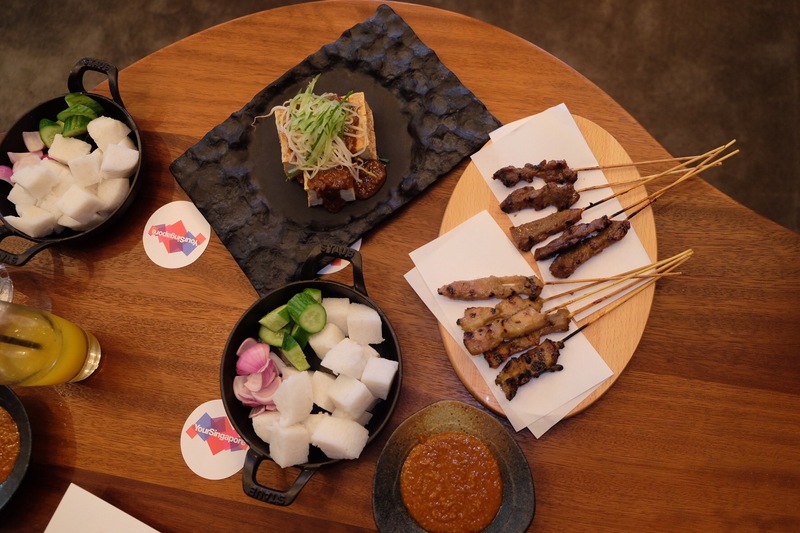 This satay dish includes skewers of grilled chicken and beef accompanied by pressed rice cakes and served with thick, sweet, and hot peanut sauce on the side. Both the satays were tender and moist with just the right amount of smoky char-grilled flavor. This Singaporean soul food tasted so good that you wont stop at one stick. 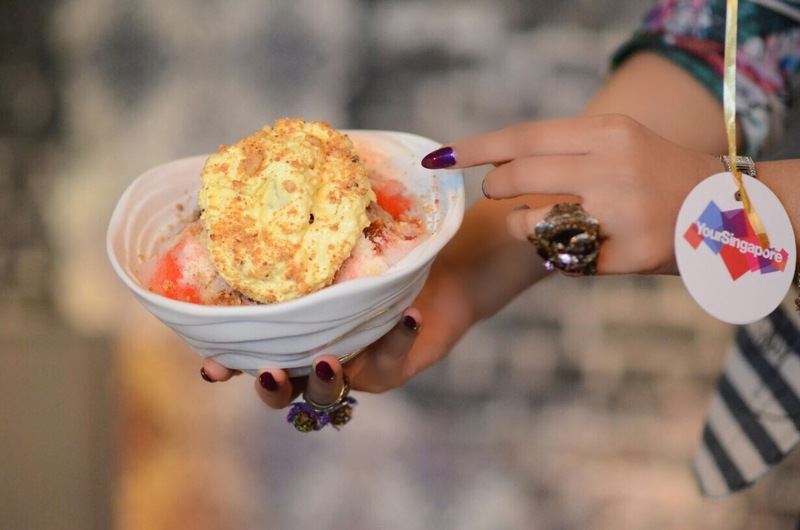 Ice Kachang is one of Singapore’s most classic cold dessert. It’s basically shaved ice with sweetened beans, jelly, palm seed syrup and some amazing toppings. It was so delicious that we suss out the entire bowl of sugary bliss. 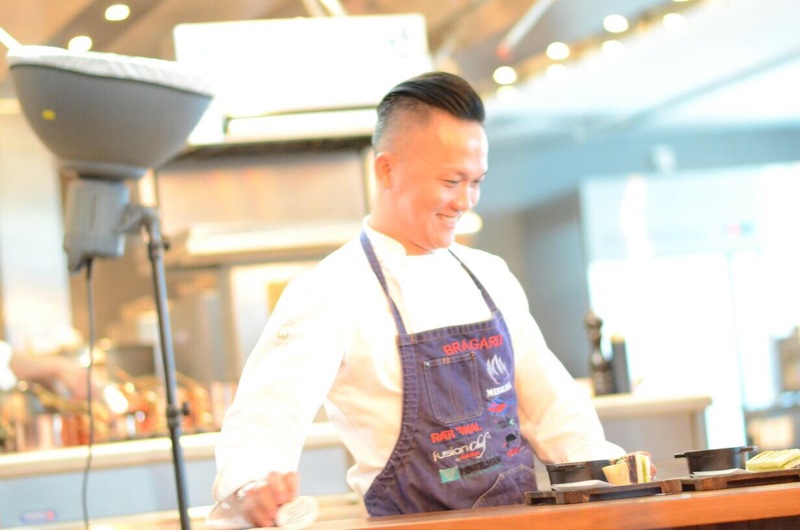 Taste of Singapore at The Experience by Reif Othman was indeed the best culinary journey I have experienced. Hereby, I wish to convey my gratitude to Singapore Tourism for having me for this exotic culinary event. 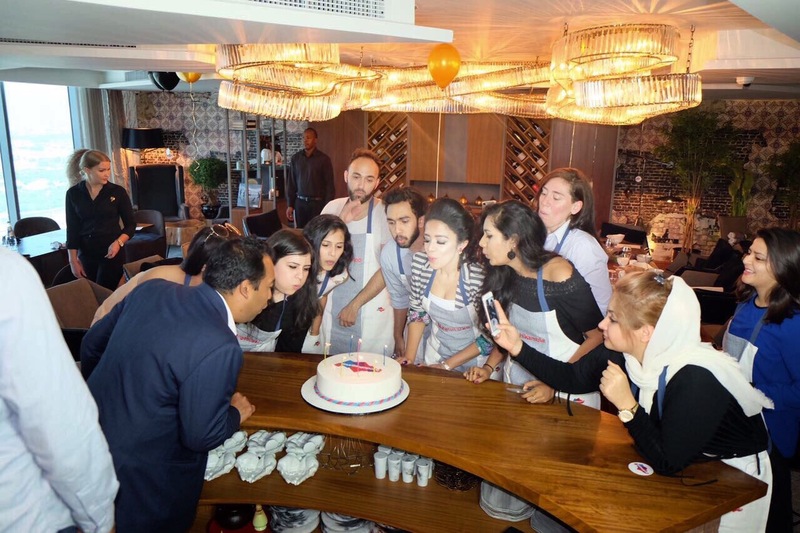 At The Experience by Rief Othman, the level of comfort and relaxed atmosphere coupled with such high quality produce and cooking is a rare experience , one not to be missed! This culinary event has convinced the foodie in me to visit Singapore at the soonest. Previous Post The Sandbar, Westin Dubai Mina Seyahi Resort & Marina.